Although many people don’t realize it, farming is among the most dangerous occupations in the United States. Whether working on a small- to medium-sized family farm or for a huge agribusiness, farm workers face hazards that most of us simply don’t appreciate when we shop for food. In fact, roughly 500 agricultural workers suffer injuries every day that are severe enough to cause them to lose time at work, according to the National Center for Farm Worker Health. A significant number of these injuries result in death. The National Safety Council reports that 49 out of every 100,000 farm workers die annually as a result of an accident on the job; that’s close to 500 lives lost every year in the industry that feeds the nation. The death rate of agricultural workers is a shocking eight times the average of all other industries combined. It is the responsibility of every agricultural employer to take precautions to protect the safety of workers on the farm, and the responsibility of every manufacturer of farming equipment to prevent defective machinery from being sold to farmers and agribusinesses. When manufacturers sell defective farming equipment, they can be held liable for any injuries or fatalities that result. A manufacturer of farming equipment fails to put hazard warnings on the machinery. The machinery was designed or manufactured with a defect causing it to pose a danger when operated. A farm owner or agricultural employer or another worker on the farm removes safety shields and other safety devices from the machinery. A farm owner or employer does not maintain farm machinery properly. A farm owner or agricultural employer fails to train workers in the safe operation of the farm equipment. If you are a farm worker who has been injured on the job, or if a member of your family died in an agricultural accident that was caused by another party’s wrongful or negligent act or by a piece of equipment that was defectively designed or manufactured, or which lacked appropriate warnings, you may be able to recover money as compensation for the damages you have suffered. Damages may include financial losses from medical bills, loss of wages from time lost from work or loss of future earnings and other damages to your quality of life (e.g. your inability to do the things you once enjoyed, your physical pain and mental suffering, your loss of function and more). In the case of a wrongful death, family members may be compensated for financial support the deceased provided along with funeral expenses, services the deceased provided, consortium, companionship, comfort, instruction, guidance, counsel, and training, as provided in the Missouri Revised Statutes. In some cases, a jury may also award punitive damages if the behavior was especially egregious, intended to punish the wrongdoer and deter the behavior in the future. Murphy, Taylor, Siemens & Elliott P.C. 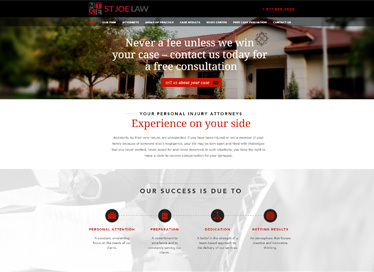 is a St. Joseph, Mo., personal injury law firm with over 100 years of combined experience in recovering money for the injured, including those who have been hurt while performing farm work. With our long record of success, you can feel confident that you will receive aggressive, skilled and committed representation, and you only pay us if and when we recover money for you. Call now for a free consultation.